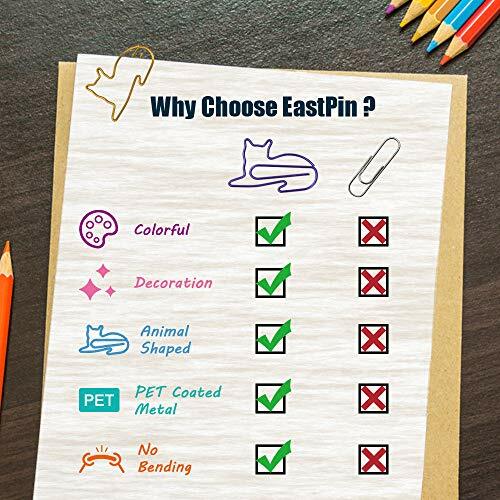 【UNIQUE ORIGINAL DESIGN】EastPin vivid designed cat paper clips made from PET coated metal wire material which is nontoxic and harmless, colorfast, strong but lightweight. EastPin cat binder clips help you sprucing up your files. 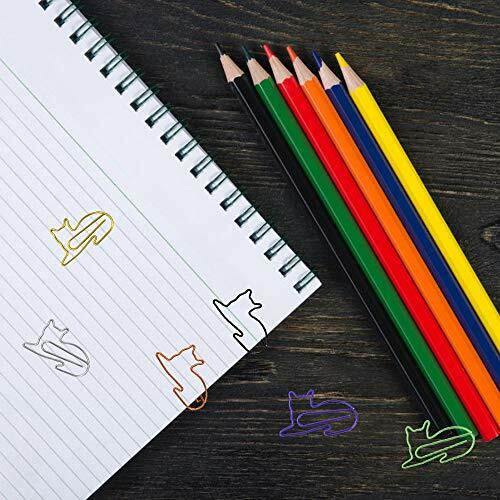 Smooth surfaces of cat accessories prevents snags and marks on papers. Cute binder let you finish your work in a funny way. 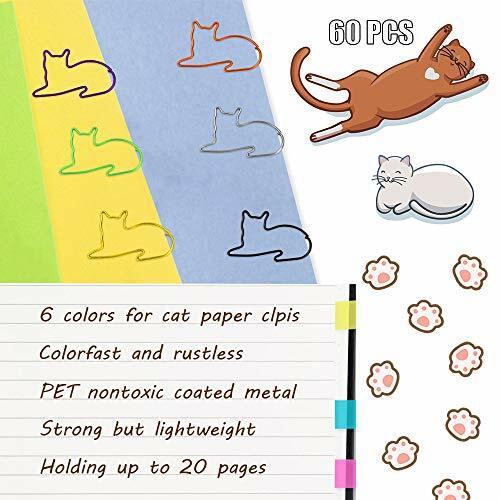 【FUNCTIONAL USAGE】EastPin cat shaped paper clips have the same functions as traditional paperclips. 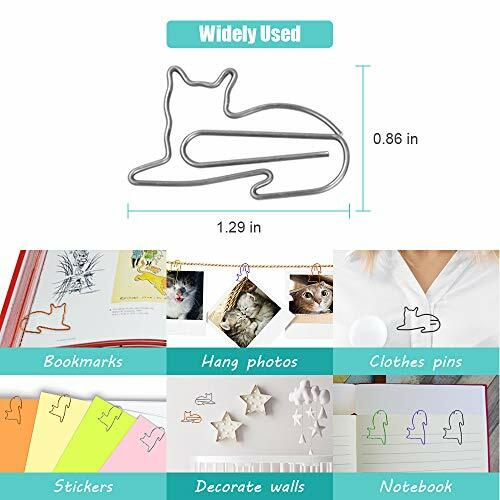 Funny paper clips keep your notebook, bookmarks, scrapbooks, calendar markers and others item attached; Office accessories lighten up your work desk, clip envelope, documents, decorate walls, hang photos and so on. 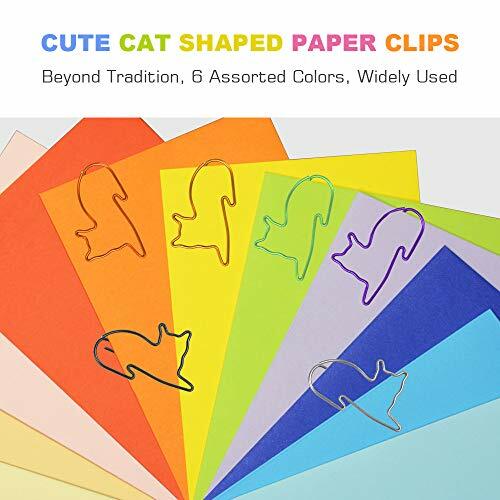 Cat office supplies are your little office helpers! 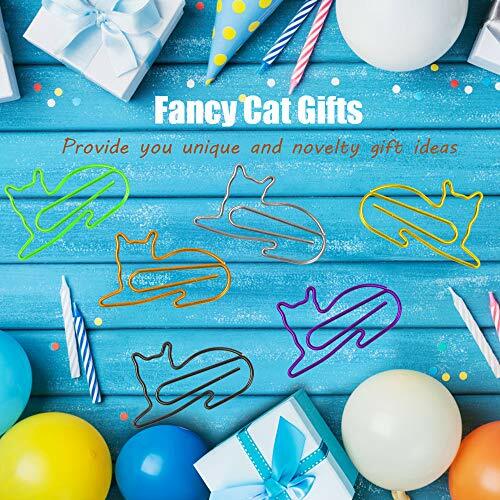 【ASSORTED COLORS】 60PCS of novelty paper clips in 6 different colors , including 10 ORANGE + 10 PURPLE + 10 SILVER +10 GOLDEN + 10 BLACK + 10 GREEN. EastPin animal paper clips meet heavy load needs of your daily use and created to withstand many years of use. Assorted colors are classified in the container. Durable clips have 1.29 inch length and 0.86 inch width capacity that can hold up to 20 sheets or thicker papers. 【SPECIAL GIFTS】Cat gifts for cat lovers, birthday stocking stuffers for teens. Give a fun present, school supplies as teacher gifts, office accessories cat lover gift for women, cheap office gifts for coworkers, animal lover gifts add a little pleasure to life. Fancy paper clips giving you the option to select the perfect gifts for a special occasion. A well designed little gift box to impress gift recipient! 【CUSTOMER SERVICE】 30 DAYS 100% MONEY BACK GUARANTEE! Office clips provides 1-year warranty and 24 hours friendly customer service for our customers, any product quality of EastPin cat accessories, we will provide timely after-sales service. 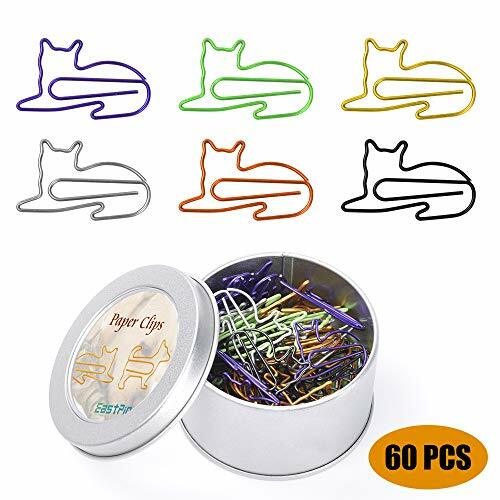 So feel free to buy cat paper clips.